Having a baby is stressful and not just on your body but your mind too! You can develop post-natal depression! How you deal with post-natal depression is important, it is not something to hide from! Depression comes in many forms and can hit at the most inconvenient of times too! However, it is not something you should take lightly or ignore! If you are feeling depressed after giving birth it is so important to seek medical help. They will offer you the best advice and support to meet your needs! You mustn’t suffer in silence as depression is a killer and it takes too many lives! You will need to talk about how you feel and it is so important that you don’t lie or sugar coat your true feelings. They can’t help you if you do this! I can tell you that I suffered mentally after the birth of all my children and not once did I reach out for help! I thought they would think negatively about me and my parenting skills! Those thoughts and feelings never went away and I spent years suffering in silence and making my depression worse! 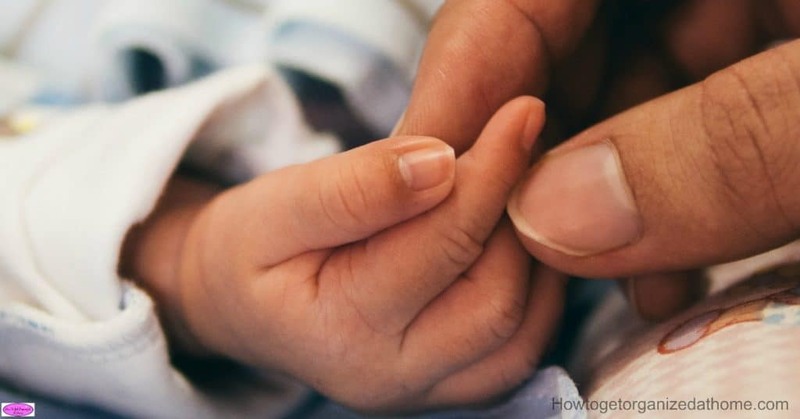 If I had taken the steps when I had my first child at just 19 years of age, my life might have been completely different! I remember filling out a mental health survey after my third child and putting on this form what they wanted to hear and not what I was feeling! I look back now and think how silly I was! I worried about the stigma of mental health and not making sure I was healthy in mind and body! When you talk to a professional about your mental health they will need to assess how you feel and the best course of treatment for you! From a personal perspective, they all will help you feel better it just depends on what your doctor thinks is best for you! The medication’s targeted towards the chemical imbalance in your brain. This is not something to feel negative about, I take depression medication as I struggle with depression. If you are breastfeeding make sure that you mention this in case the medication is not compatible with feeding your child in this manner. This was one area that I never thought would work for me! How wrong I was! When I had counseling it was the best thing that I could have done. Not only was I in a safe setting, but my counselor was able to get me to talk and open up. This release, letting go of the emotions is so powerful and can have an amazing impact on your overall mental health! Whilst in counseling we worked on the cognitive behavioral techniques to help me find ways to manage my symptoms! It helped me a lot! After having a baby it is a very emotional experience, this child that you created is dependent on you for all their needs! While you think that this is fine for many the reality is very different! You can have well-meaning friends and relatives that question aspects of the care you provide and this can result in emotional feelings that you didn’t expect! For me, I was alone, in that my husband worked long hours and I was trying to act like the perfect wife and mother. I was new to the marriage thing and having my first child was the first time I had been around babies and I was unsure how things should work! We didn’t live close to family, we were alone trying to be parents and it was hard! If only I knew that not only should I be getting help and support from my doctor, but I could do things for myself that would make me feel better! We had moved away from friends and family so there was no one who I could talk to about how I felt. Facebook wasn’t even invented at this point and I just felt so alone at times. Even though I talked about my feelings to my husband he didn’t know about post-natal depression and what was normal or how I should feel! Looking for more articles about depression, Why your Depression Is Not Easy is a great place to start! I love to find different ways to help with depression and anxiety! Have you heard about weighted blankets? Check out what they can do for depression here! 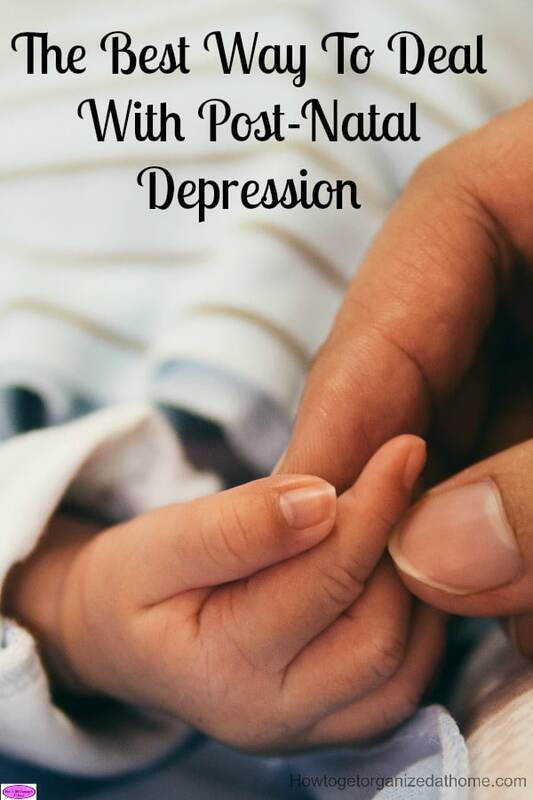 I found this great resource for postnatal depression and I thought you might like to read it too! Here it is! I found the cognitive behavioral techniques helpful! Taking time for yourself is something that is difficult when you have a new baby! My third child, I breastfed till she was 6 months old, but for the first month to six weeks, she fed every hour and fifteen minutes. This was both day and night! So, in between feeds I only had about an hour to do anything for me and a lot of the time I needed sleep! However, I wanted to appear like a super mum of three children, well-adjusted and able to cope with all life would throw at me! I look back now and realize that if I had taken the time to look after my mental health too, life could have been so much easier than it was! Therefore, if you are feeling low or just not right, talk to a professional be honest with their questions. They are trying to help you! Never hide how you feel from your doctor. It mightn’t be as difficult as you imagine to treat! It is certainly nothing that you should feel ashamed of either! Looking for more depression articles? Why Your Depression Is Not Easy is a great place to start!